Simplifying blockmaking for a wide range of construction purposes, Hydraform SA’s range of blockmaking machines manufactures interlocking building blocks from a mixture of soil and cement. The system can be used for most construction purposes including housing, upmarket as well as low cost, commercial buildings, public buildings and more, with the capability to construct buildings consisting of a ground floor plus two levels. Since it is a dry-stack building system, the technology reduces the need for mortar, which, according to Hydraform SA’s Ryno Saayman, results in cost savings of up to 25% on the super structure. The machine range includes static machines for permanent block yards as wells as mobile machines that are easy to transport and ideal for rural projects. “Our system is different from other alternative building technologies (ABTs) in the sense that it impacts directly on creating jobs in block manufacturing as well as construction. Local material as well as local labour is utilised in the manufacturing process. 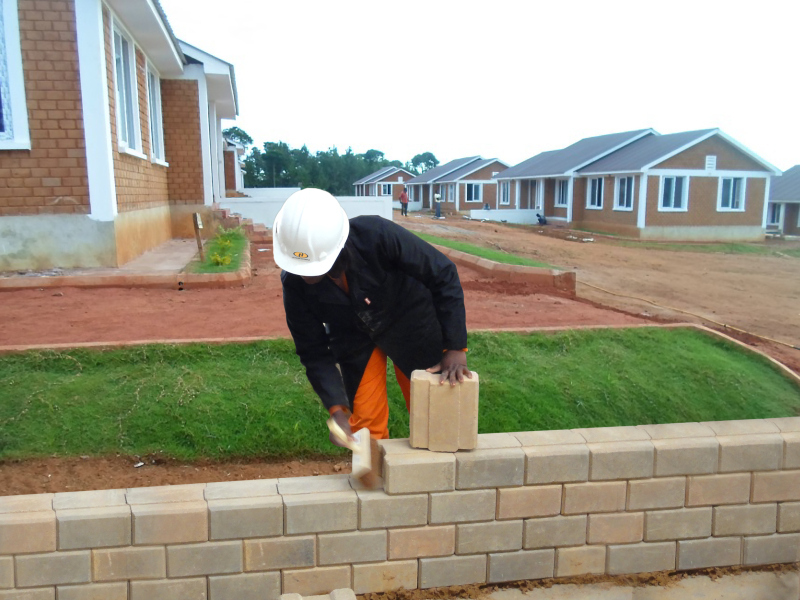 Through our onsite training programs, we ensure that the necessary skills are transferred within communities for project durations, and thereby create possible long-term employment opportunities,” he says. Not only does the system deliver quality structures and housing, it also has a positive impact on local economies. Hydraform machines are manufactured locally and conform to the stringent regulations set out by Agrément, having been approved since 1996. Caption main image: Hydraform’s dry stack building system reduces the need for mortar, which results in cost savings.